You are never out of my thoughts -- but there is an eye which beholds and watches over you, in a way that I cannot do. To Him I confide and commend you, for sickness and health, for time and eternity. What a word, what a thought, is ETERNITY! What prospects does it set before us! What inconceivable mysteries are involved in it! How does it make the things of time dwindle into insignificance! What questions of unspeakable importance, are involved in it! Sin, a corrupt nature, a broken law, an offended God, eternal punishment, conscience, guilt, regeneration, salvation by Christ, faith, hope, love, free grace, undeserved mercy, justification, effectual calling, adoption into God's family, pardon of sin, consolation in Christ, heaven and glory! These, and a thousand accompaniments, are all connected with the idea and the reality of ETERNITY! What a sad proof of the depravity of our heart -- is our indifference towards thinking upon things which belong to our everlasting peace; and which, if neglected, involve our eternal ruin! We need warnings -- and the Lord sends them in many ways. Sickness, pain, bereavements, losses, disappointments -- all bring their message with them. The great question between our souls and God is not whether we admit the truths of the Scripture into our understandings -- but whether they are so applied to our hearts -- so as to have wrought a change, and become vital principles of faith and practice. Nothing short of this can afford evidence of a saved and safe condition. Be much in prayer and self-examination. The more we see of ourselves -- the more we see our sin. And the more we see our sin -- the more we flee to the death and righteousness of Christ -- for pardon, deliverance, and hope! Let nothing interrupt you in this continual work of self-examination; and let self-examination lead you to earnest and ardent prayer. Let no pursuits of literature, no delights of sense, no passing occurrences, no debility of body, no inferior subjects of recreation, prevent you from keeping your thoughts close to God and to eternity! You have arrived at an age when many dangerous temptations will assail you, and you will be put to the test -- whether your heart is right with God. You are thrown upon the world and its seductions, and you will find indeed, that it lies in wickedness -- multiplied, subtle, and appalling wickedness! May God preserve you, my dear son -- and may you never wander from the way in which you have been trained! Keep a continual watch over your disposition, temper, and thoughts. Pride in every form -- must be brought low. Do not wonder, that I cannot rest contented with superficial religion -- but that I look for a deeply experimental life of God in your soul. I place time and eternity before me in holy imagination. I strive, as it were, to penetrate the veil which separates them -- and to look earnestly at those things which belong to your everlasting peace! Lay all these things to heart; make them the subject of unceasing petition at that throne -- whence no believing supplicants are ever sent empty away. I commend you to Him, who has all events in His hands, whose consolations are neither few nor small, who gave his Son to die for your sins, and whose compassions never fail. The precious Redeemer shall protect, guard and comfort you. But seek Him aright -- do not trifle with the great concerns of your soul. Adieu for the present, my child, my friend -- and, in Christ, my brother. 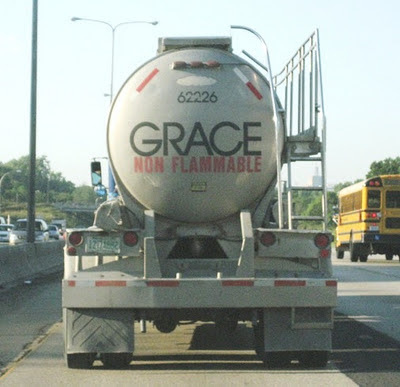 The objective of GraceGems.org "is to set before the Christian pilgrim some reflections which may prove challenging, consolatory and encouraging -- as he journeys up from this bleak, arid, wilderness world, leaning on his Beloved." If you haven't subscribed to their daily e-mails, I encourage you to do so. Legh Richmond was a serious minister of the gospel. His account of "The Dairyman's Daughter" is one of the most meaningful and moving of the shorter works I have read. What a shift of focus from our contemporary mindset. Why Climb the Bible's Mount Everest?